A standard 35mm slightly skewed to a wide-angle lens with built-in VC provides an MOD (Minimum Object Distance) of 0.2m. 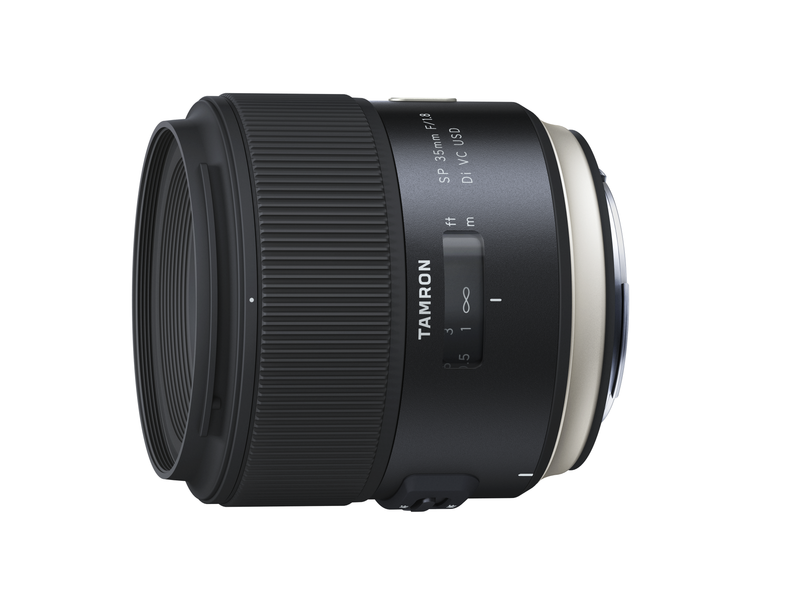 This lens achieves superb imaging performance at full aperture with well-balanced depictive capability. State-of-the-art design and engineering technologies backed by manufacturing know-how culminate in this fine lens and its companion, the SP 45mm F/1.8 Di VC USD (Model F013). With an MOD of 0.2m, the SP 35mm offers best-in-class close focusing*. A floating system design feature seamlessly optimises image quality by shifting elements relative to the focus group in close shooting situations. This lens uniquely offers shooting characteristics like a wide-angle macro lens. * Rated top among current 35mm fixed focal length interchangeable AF lenses for full-frame DSLR cameras excluding macro lenses (As of July 2015. Source: Tamron). The two new SP lenses deliver exceptionally uniform illumination levels across the image field to avoid non-linear pattern or fall-off toward corners.